Workshops are the powerful construction tools that allow you to build, scrap and move items within a specified settlement. Whether you choose to build a simple house or a glorified stronghold, it all starts with a workshop. In this post I'll show you every workshop location on the map so you'll know where you can start building. Before you can use a workshop it must be "captured" or controller. This is achieved by controlling the settlement that the workshop is located within - usually involving the removal of a threat in the area: raiders, infestations, mutants etc. However, there are other ways to control a workshop including killing everyone in a settlement and taking one for free as part of a quest line. Once you control a workshop you can build a different number of communities; farming sites to feed settlers, industrial complexes as salvage stations or turn your settlement into an ecommerce trade post if you prefer. Offers a large buildable area and plenty of dirt. This location is one of the best settlement areas in the game for food production. The enclosed area contains many tato plants, a patch for melons and lots of room for expansion. Most importantly, this area is at the beginning of the game in the safe area of Sanctuary Hills which has relatively low level enemies. Simply complete the quest "Returning the Favor." to grab this one. The airport is an unestablished settlement which can't support crops or artillery. The biggest problem for the airport is that it lacks food so you'll need to establish supply lines to keep the population happy, or else you'll loose their trust. It's on the Eastern side of the map, in the Coastal Commonwealth. Just East and across the river from the Boston Financial District. Complete the quest "Shadow of Steel." to access this workshop. A good location featuring several established structures and a variety of vendors for trading. There's enough beds, food and water to meet the needs of the current population. Complete the quest "The Battle of Bunker Hill" to claim this one. Bunker Hill is located on the Northern side of the river, in the Boston Neighborhoods region (center of the map). The Castle area features a large structure, a radio transmitter, and a variety of useful items such as a first-aid station and guard posts. This area is involved in several important quests but simply clear the area of hostiles to claim the workshop (complete Old Guns to unlock the armoury and access the workstations). This workshop is located on the Eastern side of the map, in the Southeastern neighborhood. It borders the coast. A simple and unestablished settlement located in the far Northeastern corner of the map, not far from the waters edge. Just clear the area of hostiles to grab it. A very simple area acquired by completing the offered radiant quest. Two ways to claim this settlement: either complete the quest "Human Error" or defeat the current residents. The area is small but also a well-established settlement with an existing population and some vendors. If you choose to gain the trust of the residents then the settlement has a few vendors and is self sufficient. 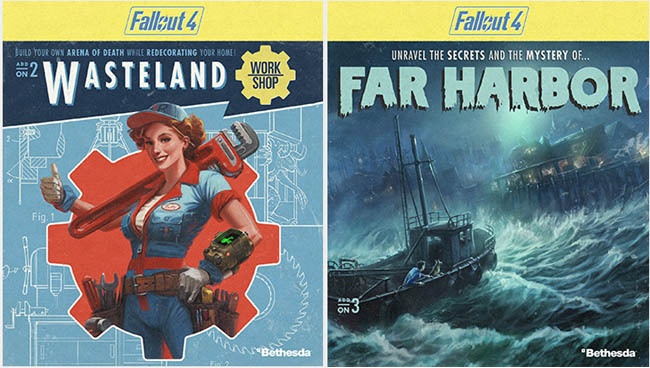 Otherwise you'll need to take control of the workshop and draw in settlers to the area. The Covenant is located in the Northern half of the world map, fairly central though. An unestablished settlement that features a large three-story structure. Simply clear the area of hostiles to claim it. You'll find multiple buildings, a large body of water, and numerous booby traps in this area. Two ways to acquire it: placate or defeat Phyllis Daily. A simple settlement with not much to offer. Rewarded after completing the "Out of the Fire" quest. An established robot population, high food production, and a vendor. These robots can work all day long without food thus making this settlement a high priority because its completely self-sufficient. Complete the quest "Troubled Waters" to claim this one. Graygarden is on the Eastern side of the map but still close to the center. It's on the tip of the river as it bends northwards and curves back round to go south, not too far Northwest from the Cambridge Neighborhood. Features two large buildings and well-established crops. It's a second reward for completing the offered radiant quest. A bordered settlement featuring several simple buildings to modify or scrap for materials. This location is the only big-city settlement in the Commonwealth and its limited access points make it really easy to defend. Clear the area of hostiles to claim this area. The workshop is located in the Fens, which is the Southwestern Neighborhood region. The settlement is close to the second bridge connecting Cambridge to the Fens. A small personal space that offers some limited workshop functionality, in the heart of the city. To claim the Home Plate you must purchase a housing permit from Geneva in the Mayor's office (costs 2000 Bottle Caps). Although this settlement doesn't appear on the Pip-boy, it does contain some useful items and an established power grid. It's major let down is the limited functionality of the workshop. Contains a two-story building and a large parking lot, providing space for large sturctures. Clear the area of hostiles to claim this area. Contains multiple large structures, open water, and uneven terrain. A little tricky to build in this area simply because of the uneven ground and water restrictions. Clear the area of hostiles to claim this one. Although this area has a large section of water, it is an unestablished settlement. Clear the area of hostiles to grab it. A simple settlement but it comes with plenty of dirt and access to open water. Complete the offered radiant quest to claim this reward. A basic settlement containing a small two-story structure and established crops. Complete the offered radiant quest for this workshop. A small settlement with some basic structures and an established power grid which you can tap into for your power needs. Clear the area of hostiles to claim it. A well-equipped service station that makes a good choice for an early settlement. There's no restriction for this workshop making it immediately available in the first two hours of the game. A good choice for this settlement is as a Power Armour store for your surplus armour sets. 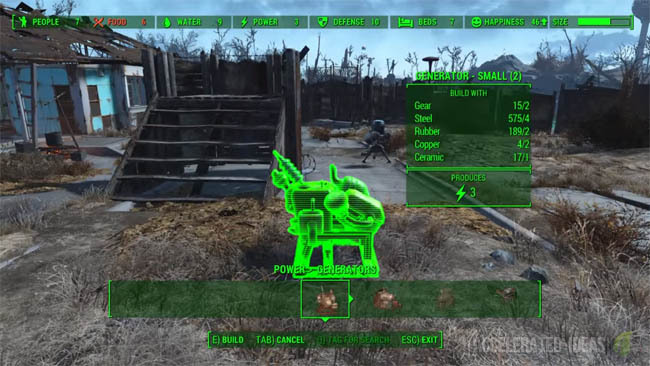 Another of the unopposed workshops in Fallout 4. 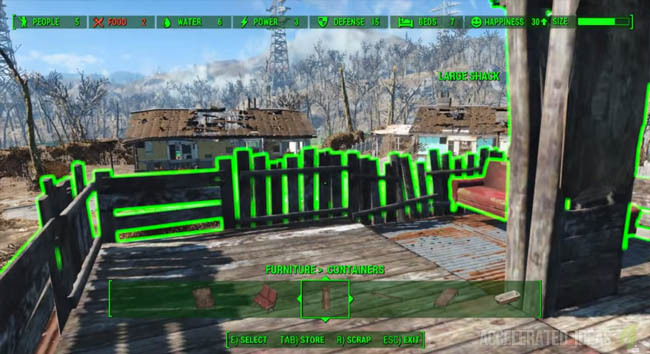 Players will find this settlement early in the same. It offers several established structures, a variety of workstations, access to open water, and a large buildable area for any number of custom structures. Comes with a sizable Ghoul population and a variety of established crops. Complete the offered radiant quest to claim this workshop. A basic settlement containing established crops and a large buildable area for a number of custom structures. Complete the offered radiant quest for this reward. Contains multiple structures and an established power grid within a massive buildable area. Players can easily tap into the power supply here and build a large number of custom structures. Clear the area of hostiles to claim this area. 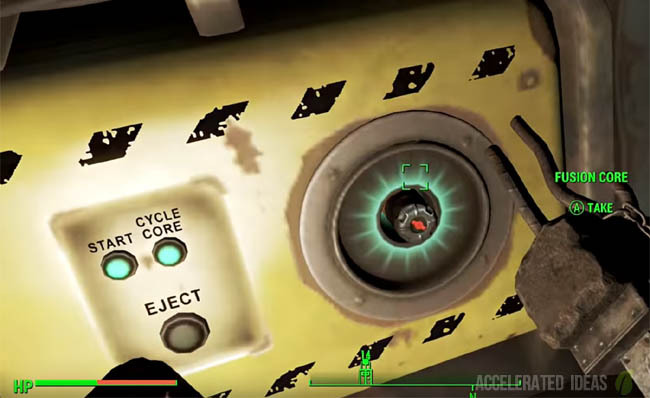 Tip: Activate the circuit breakers to reveal the hidden enemies preventing you from controlling this region. Contains several structures within a very large buildable area. Clear the area of hostiles to claim this workshop. Contains several structures, a large buildable area for your creations, and a unique robot resident called Professor Goodfeels. Clear the area of hostiles to claim this one. Features two established structures and access to open water. Clear the area of hostiles to claim. A basic settlement, nothing more. Complete the offered radiant quest for this one. Contains multiple structures and a variety of crops, enclosed within a large buildable area. Complete the offered radiant quest for this one as well.